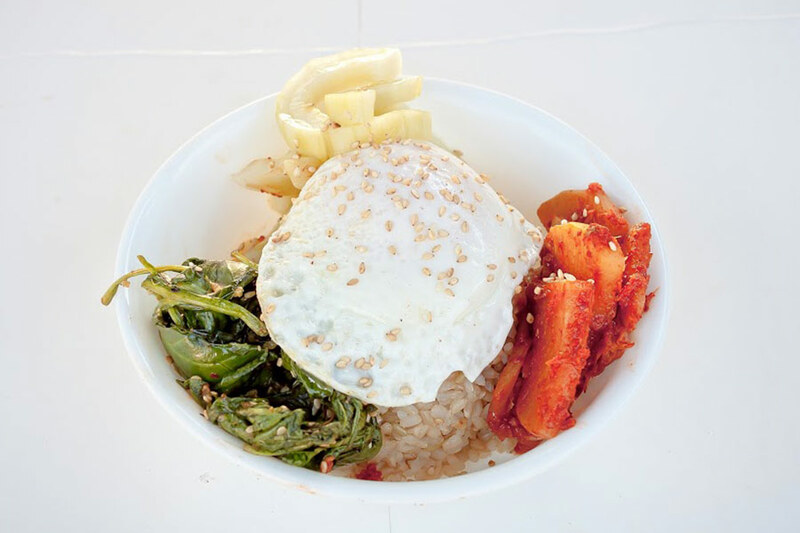 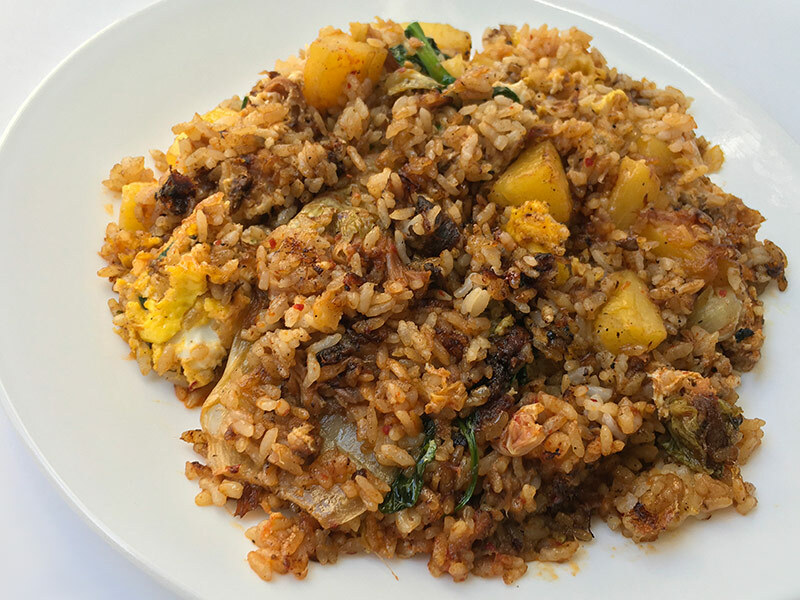 Rice, kim chee, sesame spinach, cucumber salad with fried egg. 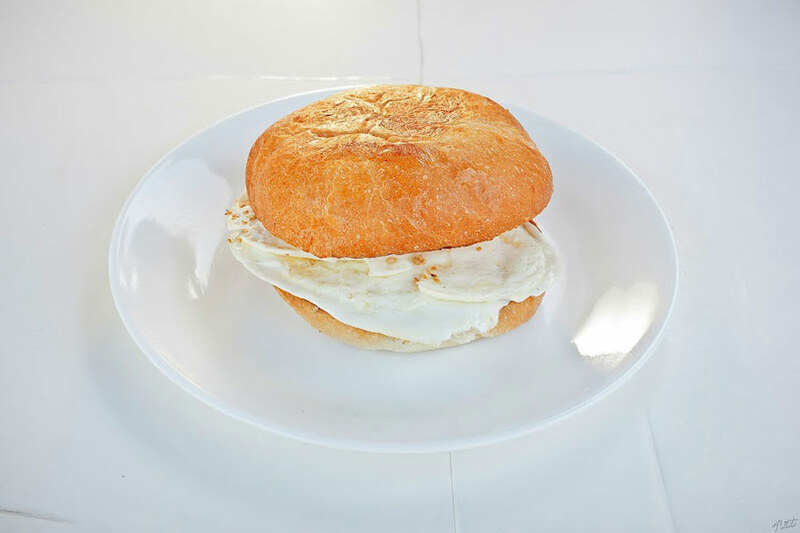 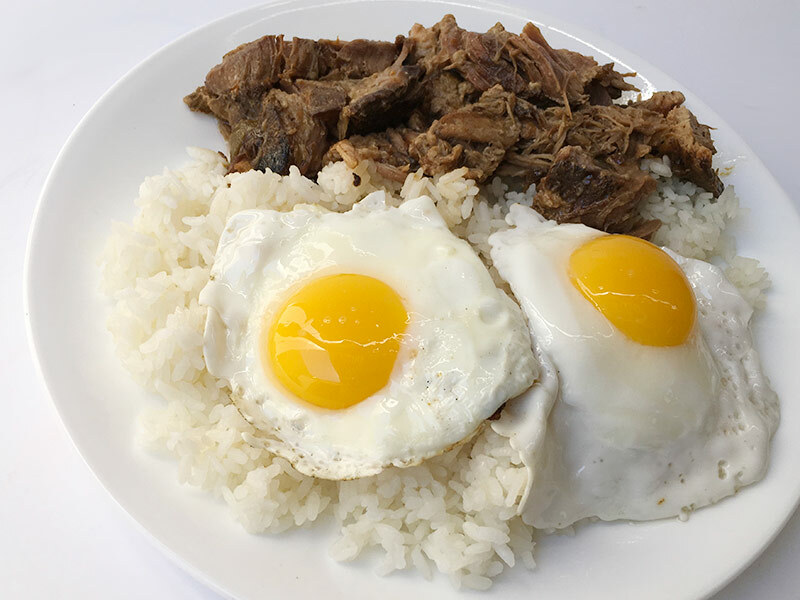 Kalua style pork, 2 fried eggs, rice and your choice of sauce. 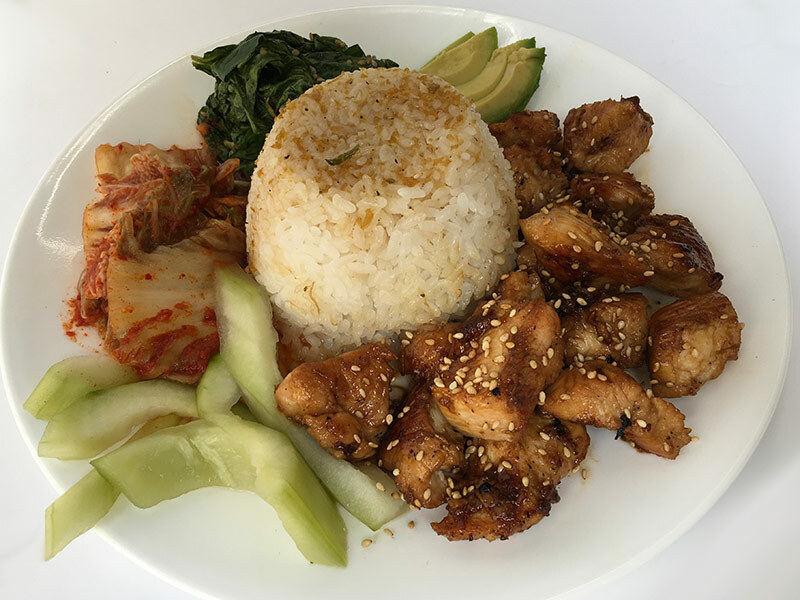 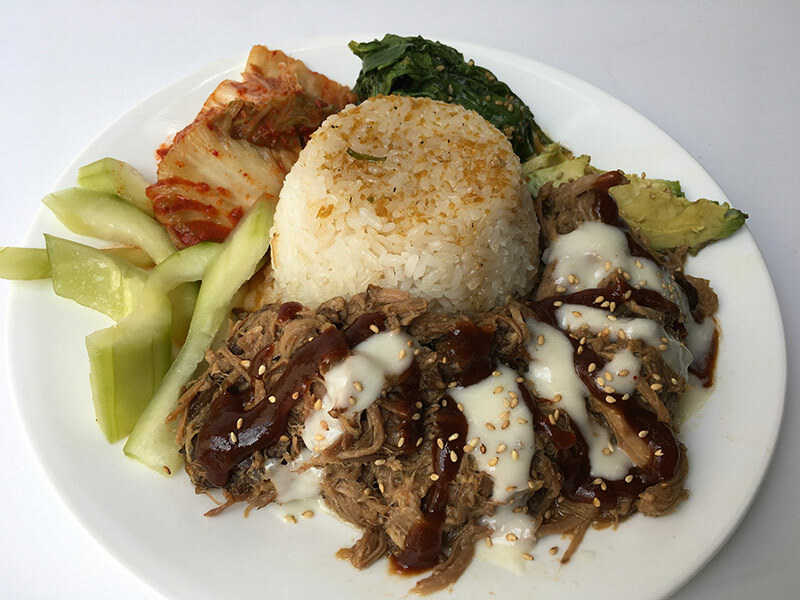 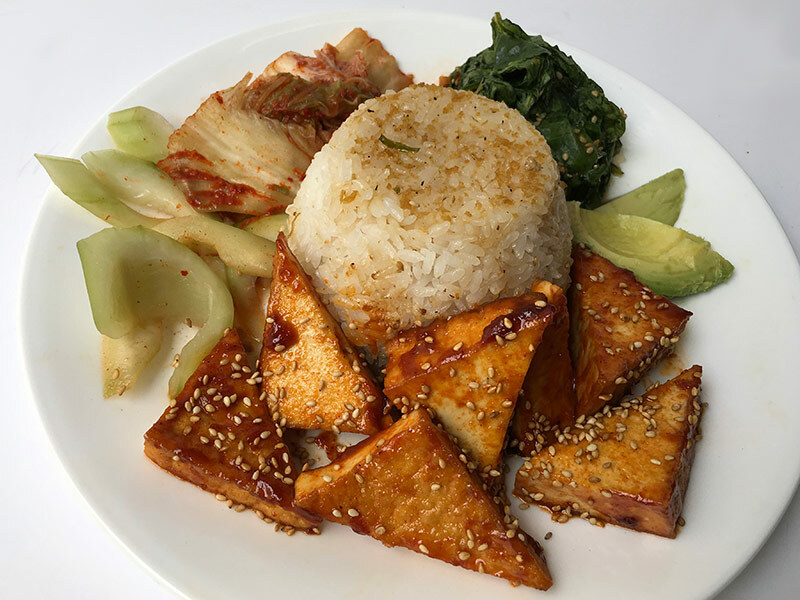 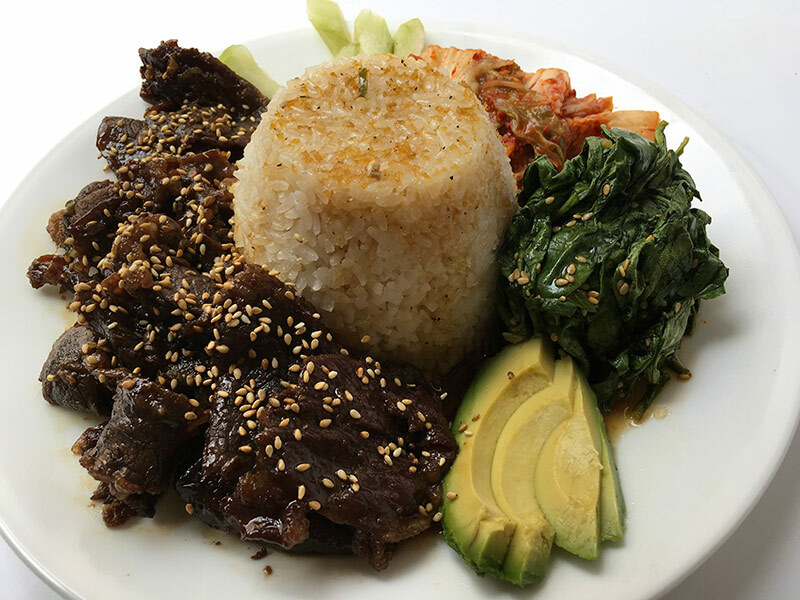 Plates include: Kimchi, sesame spinach, cucumber salad, avocado, white rice, and choice of sauce. 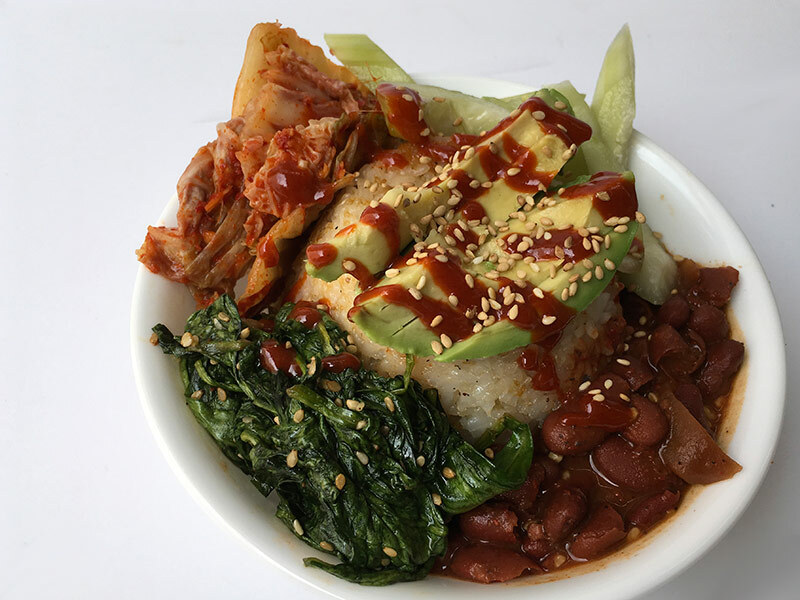 $5 Vegan Bowl – Korean bbq jackfruit, sesame spinach, cucumber salad, kimchi, avocado, rice, teriyaki sauce and spicy gochujang. 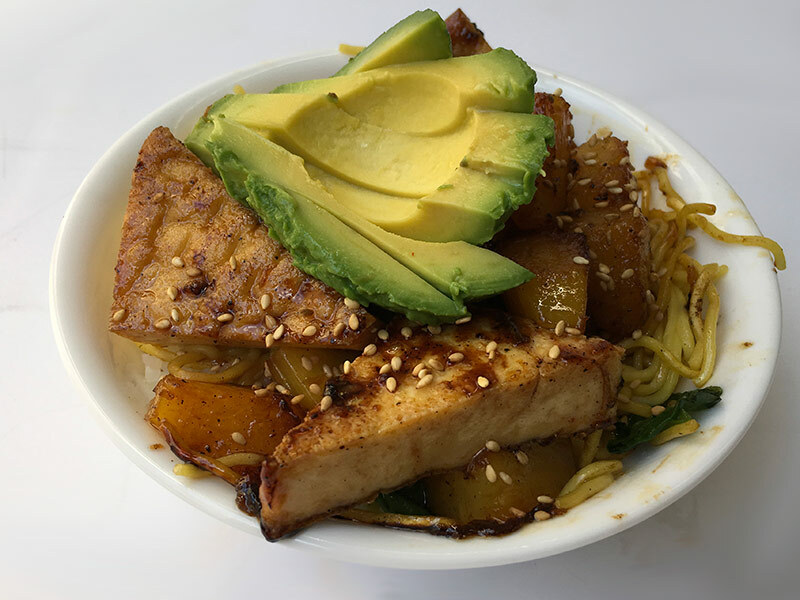 $9 Aloha Bowl – Teriyaki tofu, grilled pineapple, spinach, yakisoba noodles, rice, teriyaki sauce, avocado. 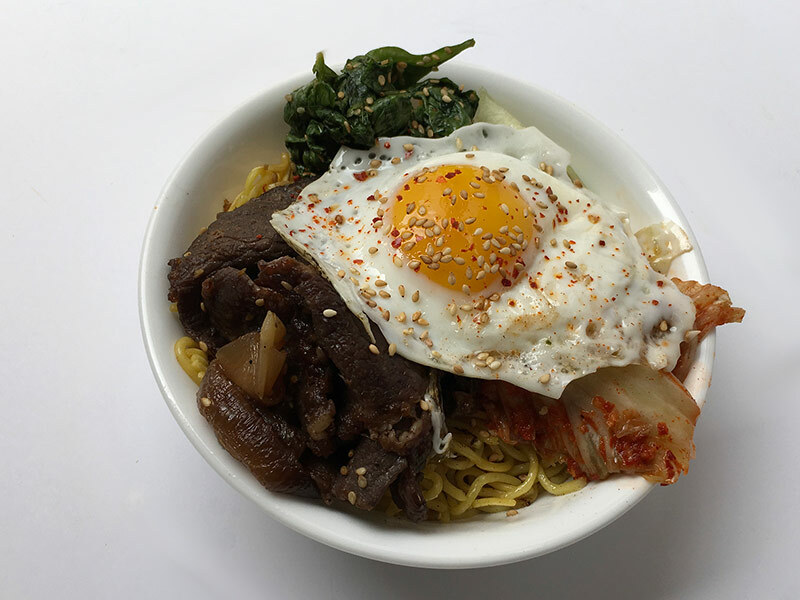 $10 Spicy Beef Noodle Bowl – Bulgogi beef, kimchi, sesame cucumber salad, yakisoba noodles,spicy gochujang, and a sunny side up egg. 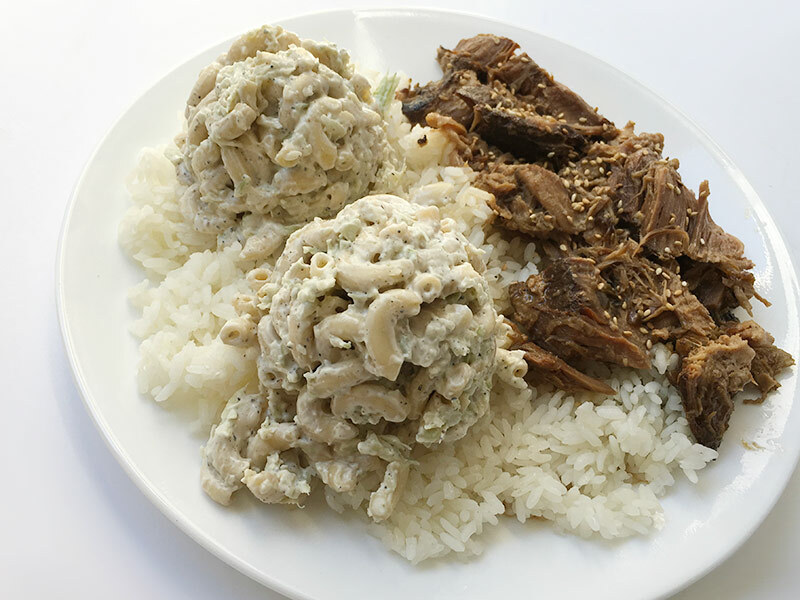 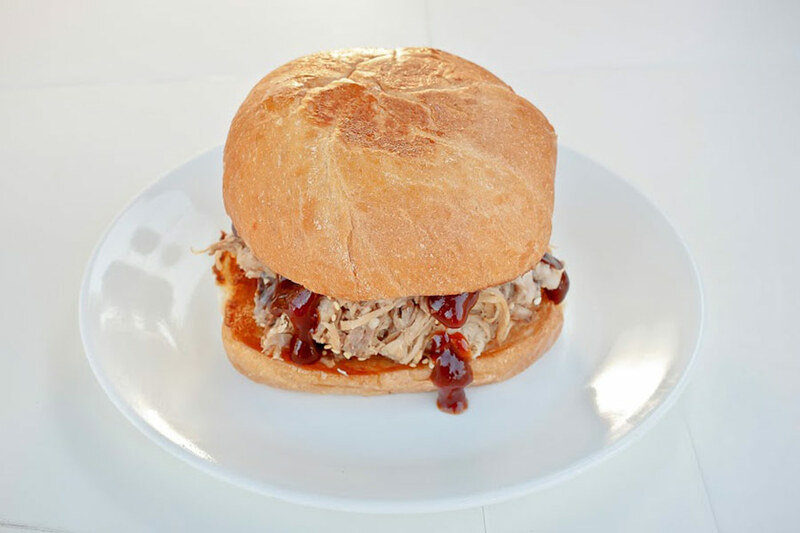 Kalua style pork bbq and sweet horseradish on a toasted bun. 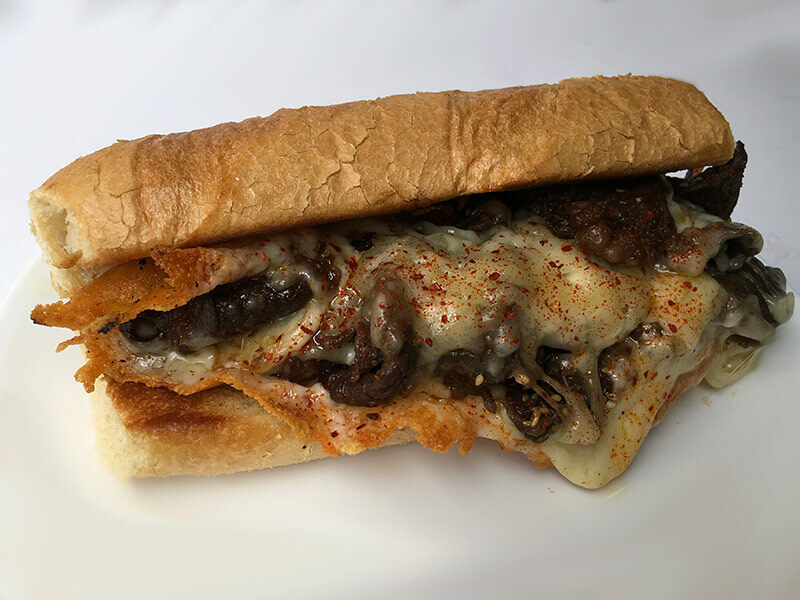 Marinated bulgogi beef and onions with Monterey Jack cheese, sweet horseradish on a toasted bun.